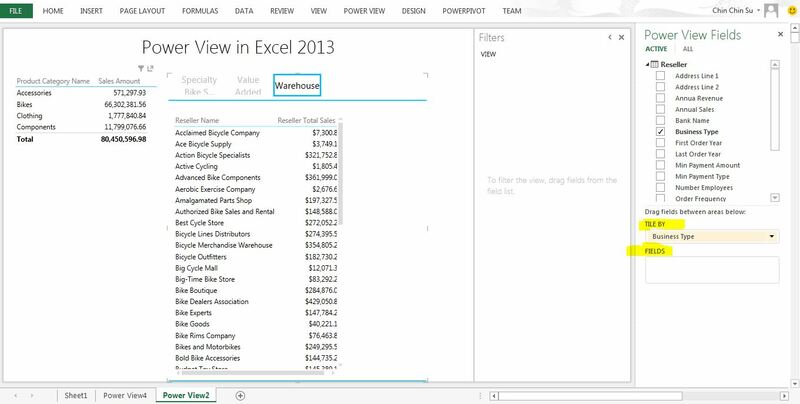 I am dissatisfied with Power View in Excel 2013. First of all, it cannot connect to a multidimensional cube. See the error message below. Secondly, it is a cut down version of Power View in SharePoint. The charts or maps are not available for use. Only table and tile are available (as shown below). 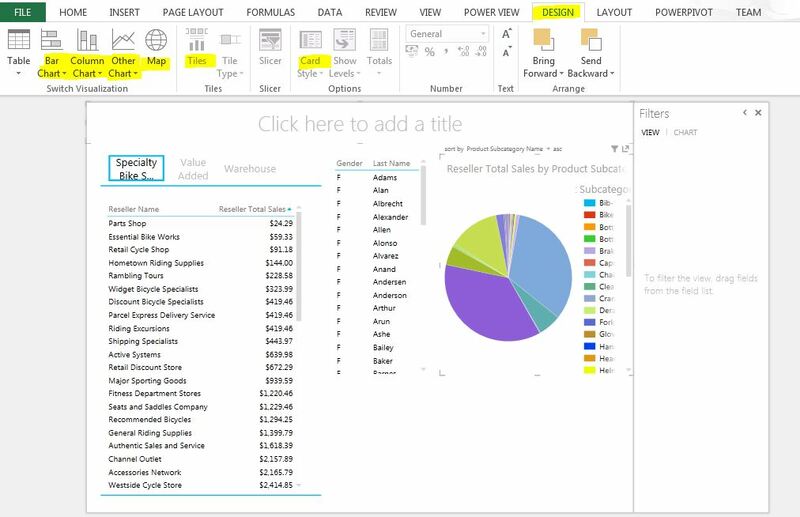 If you ask me to choose, I will choose Power BI Designer Preview.